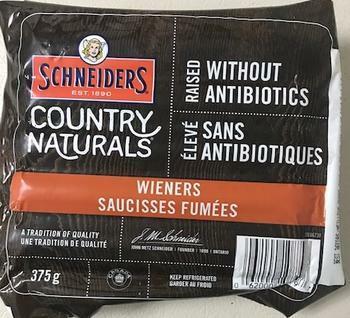 Maple Leaf Foods is recalling Schneiders brand Country Naturals Wieners. There have been no reported reactions associated with the consumption of the recalled product. Customers who purchased the recalled product and have an allergy to milk should not consume it, but discard it or return it to the store where purchased. Consumers with questions may contact Maple Leaf Foods at (800) 268-3708.